Most sales leaders agree that B2B sales are on the verge of a great leap forward, with a series of changes that will redefine what it takes to succeed in the market over the coming years. The use of data and analytics as part of a sales transformation or sales enablement program is allows sales people to forecast with increasing accuracy, their most valuable sales opportunities. In fact, forward looking companies are using data and advanced analytics to drive their sales productivity alongside revenue growth without adding to their sales teams or costs. The change in the B2B buyers journey where they self-educate via content, are technically savvy plus a preference for engaging via the digital networks, is leading the charge for a new breed of sales leaders who have digital expertise plus a strategic approach to engaging customers. The change in the buyer’s journey is also transforming the composition of sales teams with a move away from customer facing sales towards a growth in inside sales and social sellers supported by analytics functions. Add in the shift towards subscription-based models and you can see why it is critical to re-evaluate how customer engagement is managed. The sales world of recurring revenues means that deals need to be won monthly, quarterly and yearly. Customer relationship salespeople will become increasingly more important and digitally connected sales teams are aligning themselves closely to the buying journey the customer undertakes. The disruption to the traditional buyer- seller model means B2B sales is becoming more science than art. Selling, customer acquisition and target selection is now more data-driven because of the range of digital tools and advanced analytics available to sales leadership. The focus is now firmly on really understanding the “what, why, and when” of the customer buying process. Research from McKinsey shows that organisations who have embraced “the science of B2B sales” are seeing over 2X times industry average revenue growth. An interesting statistic from the research shows it is the CEOs of the leading pack who actively lead the sales transformation. They understand that redefining their go-to-market strategy require cross functional alignment and unified execution from sales, marketing, IT, finance and HR. The future of B2B sales will require sales leadership to fundamentally transform their go-to-market strategy around three defining pillars. The debate of salespeople v social v digital is over. Driving sales growth in the future means combining all these resources. However, digital assets (social media channels, content, social selling, data, digital sales tools etc) will be the glue that holds a successful multichannel sales strategy together. To support this pillar, research shows that while 76% of B2B buyers found it helpful to interact (via social media, phone or meeting) with a salesperson when researching a new product or service, this falls to 52% for repeat purchases of products with new features, and down to only 15% who want to interact with a salesperson when repurchasing the exact same product or service. So, sales leaders will have to plan and cater to the different preferences of first-time and repeat customers. Companies will use the social channels and digital sales tools alongside the more traditional sales interactions when targeting new prospects who seek direct interaction with salespeople. Examples here include sharing white papers, customer case studies, webinars and interactive product demos, which help salespeople engage customers in the awareness and consideration stages of their buying journey. For the repeat customers who prefer the online channel, companies need to deploy “socially trained” inside salespeople to keep ensure retention plus speed up the sale process. The inside sales teams will focus on engaging this customer set via social media, email, live web chat, and even live video calls. Pillar 2. Using data and analytics to make faster strategic and tactical decisions. Forward looking organisations and leaders will use data and analytics to action key strategic sales issues, such as which market or set of customer profiles to target, what sales opportunities are worth pursuing, resources (and engagement) needed on selected accounts, and to identify sales behaviours required to increase sales productivity. Sales leaders of the future using science in B2B sales will use analytics to build a detailed profile, account and product plan for each of their customers and ideal prospects. These plans will then be enriched with external and social data such as news, financial information, management profiles and market trends to generate a 360-degree view of every customer. Science will replace art or gut feeling for sales management to identify the sales behaviours that drive sales productivity or how to match the right people to the right deals. Sales performance will be linked back to actual sales habits (sales planning, time management, frequency of customer interactions, conversations, nurturing, prospecting, solution proposals, win/loss ratio etc) so management will be able to identify the best salespeople. Pillar 3. Nurturing and Growing talent for the digital era. The socially connect and digitally influenced buyer is increasingly sophisticated and interaction savvy, so sales leaders need to adapt accordingly. Hiring and training a new generation of cross-functional and multi-channel comfortable salespeople will be vital. Finding the right talent will only be part of the jigsaw, companies will need to invest time and resources in nurturing and growing their sales force. Most current sales training is not fit for purpose, this is why you will see lots more articles on sales transformation or sales enablement. Some interesting facts worth noting are that adults only remember 10% of what they heard and approx. 32% of what they saw, just three months after the training has finished. But an adult will remember 65% of what they learn by doing. This insight is driving a transformation in how companies deliver sales training. They are evolving from slow instructor lead classroom training to online digital modules and “on-the-job” training where coaches help the salespeople to learn from doing. Understand your current position. Begin by looking at the customer and how their buying preferences will impact the business. How customers buy (will buy) should determine what investments the sales organisation needs. Take a longer-term view. What will change look like in 12, 24, 36 months? Taking a longer-term view means that sales leadership can plan for and invest in the right sales capabilities based on customer driven road-map. Use data to test and learn. Buyer habits are changing faster than sales are responding, so speed matters now more than ever. Use whatever data on hand to test and learn, keeping the business nimble. Break down internal silos and set up a sales war-room to launch new multi-channel campaigns and messages. Maybe implement an agile test-fail-learn-adapt model to engage more buyers and then refine the sales tactics to include social selling, social reach, digital engagement etc. The future of B2B sales will require vision, strong leadership and focus from the CEO and the leadership team plus an investment in time and resources to win out. However, companies using the three pillars in the science of B2B sales are already racing ahead of their competitors and driving sales growth at a faster pace. Sales enablement is linchpin that a business uses to bridge the gap between their sales strategy and how they execute this on social media, the phone or face to face. In a fast moving digital world, common sales challenges (buyer interactions, longer sales cycles, declining win rates, slowing customer acquisition and shrinking deal sizes ) can be mapped back to the same source — the conversations between sales people and buyers. The challenge for sales leadership is to equip the entire sales team(s) with the ability to consistently and systematically have a valuable conversation either online or offline with the right set of customers at each stage of the buyer’s journey to optimise the results of the selling system. Reports show that only 3% of buyers are in a purchasing cycle when contacted by sales. This blunt sales effort can be extremely for all stakeholders when lead nurturing is directed at the wrong buyers, who are not ready to buy, or worse just are not interested in what you have to offer. Sales productivity is impacted due to sales people’s efforts not being focused on buyers who are middle of the funnel or already in the “I may have a problem” mindset. A better use of social selling and social data combined with sales intelligence as part of a sales enablement program will go a long way to helping this challenge. Sales enablement cannot be correctly implemented without aligning marketing and sales. Both departments need to work together to arm the sales teams with the right assets to have the right conversations with the right buyer profiles at the right time and in the right channels. The reality today is that sales people need to be engaging and holding conversations with buyers throughout the whole journey, even while the buyer is in status quo mode (not yet aware that they may have a business issue that needs solving). It is about bringing a level of consistency to the whole sales process as both marketing and sales work together to interact with customers across the entire buying journey. A consistent approach from sales and marketing will help assess the sales cycle, identify problem areas, fix them, and achieve the sales goals. What are the online personas each prospect will display? How do we create content that aligns with that persona? How do we deliver content to the sales people? Who will produce and supply this content to the sales team? How will all sales people be trained to use content effectively? Which is the right combination of company-created, curated and shared content? How to match the content to the stage the buyer is in? For a whole host of reasons (which you can read in other articles on this blog), social selling is crucial for a sales enablement initiative in the sales 2.0 world. Once the content strategy has been mapped into the sales process, sales people can use these assets as 2nd click content to qualify prospects through the funnel. They can leverage the content to share with and engage buyers, showing that your company is already aware of their concerns and is ready to answer their questions. 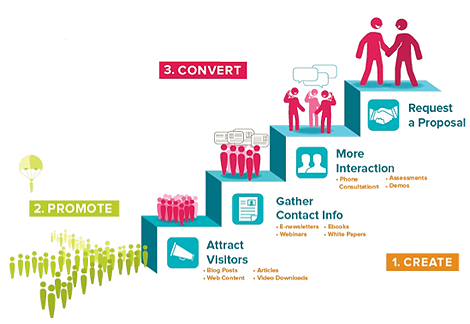 A successful social selling program takes time to listen, share, post, nurture, engage and convert. Sales and marketing should work together to form concise messaging and offers that targets issues that buyers may be addressing now. If you can’t manage it, you can’t measure it, still holds true even if large parts of the sales conversations has moved online. Rather than try to measure too much, it may be more beneficial to focus on a small set of key performance indicators. Performance metrics: How did we do? How many new connections did we make last month or how much content did the sales teams share last week? How much reach, interest or engagement did we ignite? Diagnostic metrics: Which is working/not working? Which activities are working? What needs to be improved? What types of content are the salespeople sharing and with who? What content is not performing or which set of prospects are not responding? These metrics will help all stakeholders make the right decisions; decisions which help the buyers engage and drive revenue. Too many times, businesses are thinking about “Me” and not “Them”. The focus can be solely on the company, the product, the messaging, the key differentiators, etc. They hone in on themselves and relegate their target audience and the audience’s needs. This internal focus impacts on true sales enablement. So rather than helping the sales teams understand the buyers, the focus can be entirely on helping the sales team understand the products. Helping buyers through the buyer’s journey should the core of all sales enablement programs, from awareness to decision. Sales enablement is critical as the business world in which we function has fundamentally changed. Out with the explaining the companies’ products and why buy messaging. In is assisting prospects evaluate alternatives, helping and educating buyers. The focus becomes truly enabling the sales team to engage throughout the whole buyer’s journey, on their grounds and in the channels they choose. The modern buying process means that different criteria have to be introduced. Using sales enablement as the guiding principle, sales organisations everywhere can set themselves up for success. The end result will be empowered and productive sales people, skilled in helping prospects across the buyer’s journey and bringing in more revenue, faster than ever. 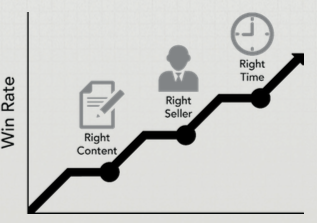 The buyer’s journey is changing sales models and how B2B sales teams sell. Sales 2.0 as a sales technique has been around nearly ten years now but still many companies struggle to embrace it. If you are in B2B sales then Forester projects that over the next four years, 1 million B2B sales people will be replaced by self-service e-commerce. Those that want to have a long term career in sales will have to up-skill and move away from transactional selling while companies will have to embrace a sales model along with sales processes that adds value to the buyer’s journey. The reality is (and numerous research proves it) that increasingly B2B buyers prefer to research solutions online plus then conclude the cycle by buying the products and services via the web. 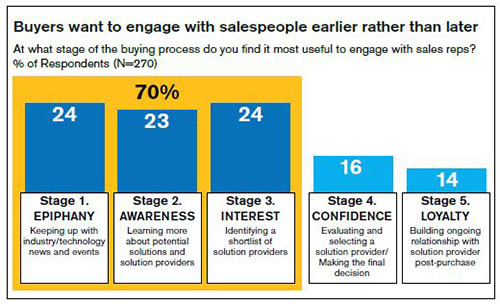 How many companies still insist buyers to engage with their sales teams as part of the buying process? Maybe it’s time for sales leaders to transform the historical sales models, one which facilitates a highly social, seamless buying environment where maybe the website and not the sales teams are at the heart of how companies procure and sell. So are B2B sales dying? Absolutely not but it does mean we have to recalibrate our view of the sales process and what it means to be a sales professional. The sales funnel is no longer being calibrated and decided by sales as the buyers decides where they are in the process. The good news is that a company’s potential customer base is bigger than ever, thanks to social media, the web and accessibility of communication paths to buyers. Sales needs to rethink where and how to add value in the buying process, when and with what should sales people engage with the buyer so it improves the buyers journey are critical questions coming down the line. The old sales methodologies of marketing bringing in leads for the sales funnel where sales would then commence the process to qualify prospects based on some internal criteria to narrow down the focus to the most likely to convert to customers is disappearing. CONTENT TIMING IS VITAL AS BUYERS MOVE ALONG THE ROAD. A recent report from Forrester showed that over 33% of B2B marketers acknowledge that their biggest problem is figuring out how to deliver relevant content to specific buyers when the time is right. I recently wrote about “How to Use Content Marketing the ACD way” which may be worth reading. IF OVER 66% OF THE BUYER’S JOURNEY IS DIGITAL, MAKE SURE YOU ARE WELL ROAD SIGNED. If you read up on new sales methodologies or social selling, you have probably read that 67% of the buyer’s journey happens before sales ever get involved. Well this does not have to come true. Yes buyers are doing research online before contacting sales, so smart sales teams should position themselves as helpful signs or stopping of points along the way. Social selling, credible social presence, inviting and quality (even personalised) content will help flag you to buyer’s as they travel in search of solutions. BUYERS TRUST OTHER TRAVELLERS ALONG THE JOURNEY, SO SALES CANNOT BE STRANGERS HITCHING A LIFT AT THE SIDE OF THE ROAD. Research shows that only approx. 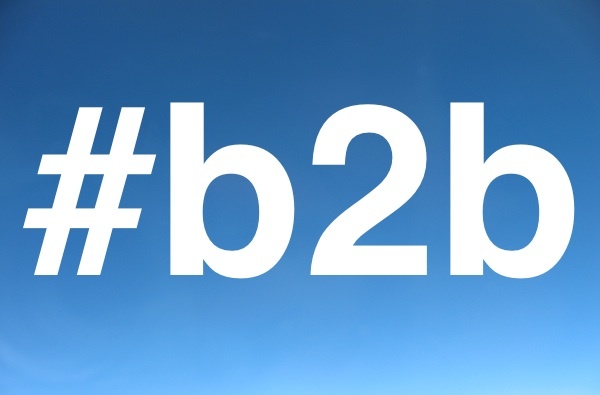 nine percent of B2B buyers trust vendor content especially when it comes to data and claims. So they look for independent signs and also they trust information that comes from people they trust: valued social influencers, social network connections, ex-colleagues and friends. Sales has to work hard to get trust by offering valued contributions, staying in touch with existing buyers and sharing information that helps even when it’s not your own. Avoid the big neon signs about special offers, free coffee for everyone and buy today. Seek first to understand (where is the buyer on the journey) and then let the buyer be understood (what do they expect). A socially engaged sales mentality is a must. INVITING THE BUYER IN WITH GENUINE HOSPITALITY WILL BE THE MOST PRODUCTIVE. This is not an outbound V inbound argument, outbound sales will always have a place, it’s just about deciding where to place it! Day was when only cold calling and mass broadcasting was the only way for companies to talk to buyers. Sales 2.0 along with social media have flipped this on its head. In an Aberdeen Group report, they found that on average, the most successful sales firms got sixty percent of marketing leads from outbound marketing, while forty percent came through inbound efforts. However the inbound leads converted at a higher rate. The lesson here is these firms used content and not sales pitches to invite the buyer in regardless of whether outbound or inbound. Be a trusted, helpful resource to the buyer along the journey and not interrupting them is the way to get the attention of buyers. Finally, one last thought. On the buyer’s journey, sales, marketing and customer service are seen as a single entity. The term “Smarketing” has been thrown into the mix as a means to convey that sales, marketing and customer service have to collaborate more closely. All departments working as one will create a deeper understanding of the journey a customer takes to engage with your company. In the socially connected, social media business world, everything moves at a faster pace and this is driven by the buyer. Any business that hopes to get the attention of the traffic on buyers road then they must understand where the potential buyers are coming from, what they demand along the way, and be wherever they need you to be with the right service.